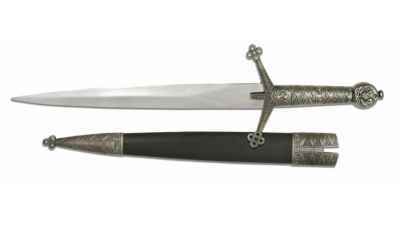 The evolution of Scottish arms and armor is not generally written about in detail in comparison to other nations. The interest of most early arms historiographers was in the clear trends in the evolution of arms and armor in Europe and their influences on England. 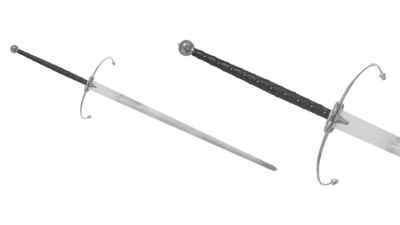 Scotland however had many types of weapons and armor such as the claymore, dirks, sgian dubhs and of course the targe. Mail coat armor was generally reinforced by a breastplate. In Scotland the complete harness of plate or even mail armor would probably have been a rare sight. 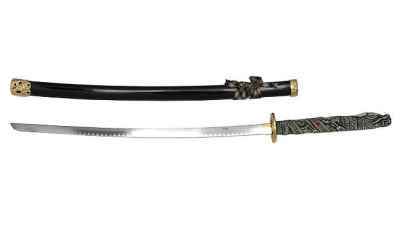 Knights carried the long-sword, axe, lance and mace. 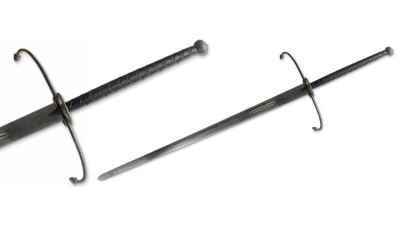 The quillons on most Scottish medieval swords usually turned towards the tip of the sword. 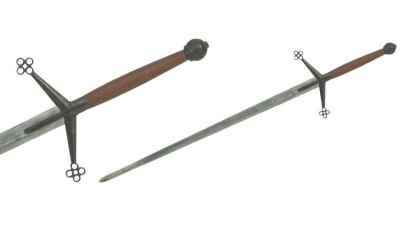 Development in Scottish arms and armor was not only assisted by patronage of Scottish armourers but also in the settling influence of foreign armourers such as the French. 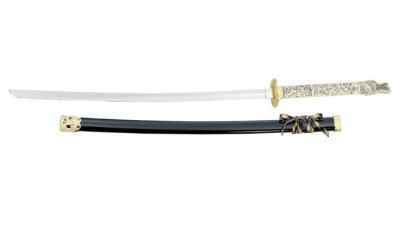 The Claymore was used in the constant clan warfare and border fights with the English from 1500 to 1650. 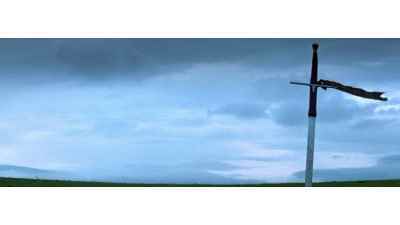 In 1536, Scottish clansman Connor MacLeod is mortally wounded in battle by the Kurgan. 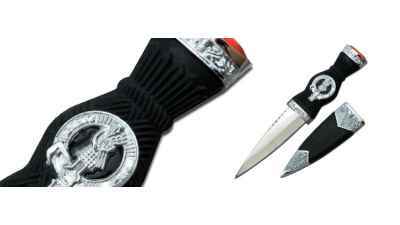 Complete your pipers outfit or Highland dress with this ornamental sgian dubh. 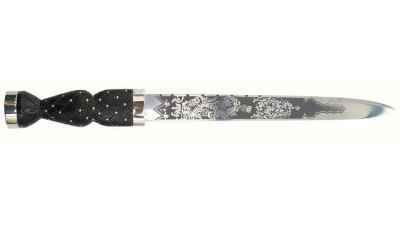 This 11 inch long dirk blade showcases crisp etchings of the traditional Scottish foliage and thistle motif on both sides of the blade. 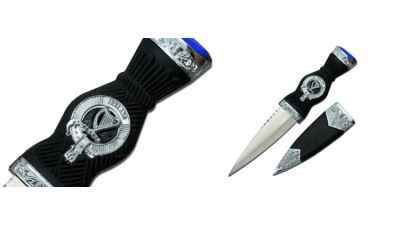 A Scottish tradition, the original Sgian Dubhs were frequently worn under the shirt close to the armpit. 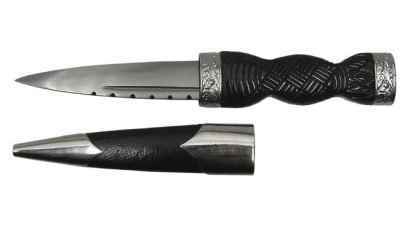 The sgian dubh is a small, singled-edged knife worn as part of traditional Scottish Highland dress along with the kilt. 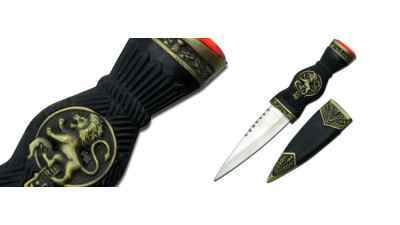 The Harp sgian dubh is a perfect way to compliment your Irish attire. Replicating a surviving museum piece the Lowlander by Cas/Hanwei is a beautiful example of the 16th century lowlands claymore.